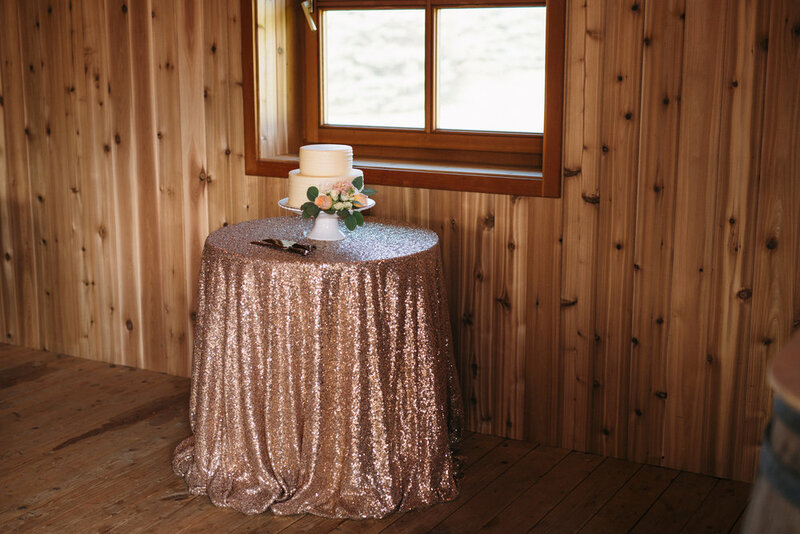 Earlier this week, we had the pleasure of sitting down with Lisa Grosso, CEO & Wedding Designer at Mountain Bride to get her insight into the benefits of hiring a wedding planner. Lisa has provided wedding planning, design and coordination services for many of our past clients as well as we have worked together on inspiration photo shoots for various wedding magazines. We can sense a certain calmness in all of Lisa's clients, they seem more relaxed, less stressed and way less busy leading up to their wedding weekend knowing they have the support of a professional to assist them throughout the wedding planning process. Here are our top 5 reasons to hire a wedding planner for your big day! 1. Help you stick to a budget: Planners can help you set a budget for your wedding with realistic goals and keep you on track to meet them! It is so easy to go overboard when planning your wedding, and it's hard to know where to draw the line. One of the things Mountain Bride can assist with is ensuring you stick to your budget, helping you find savings when possible and knowing what's worth it to splurge on. She also has a vast network of industry contacts to can help you find the decor you're looking for and on top of that she gets designer discounts with rental companies that will help you save money. 2. Keep the process on track: Planning a wedding is a huge undertaking and your planner will be focused on ensuring each item on your to do list is done at the right time. Many brides are overwhelmed when we first speak with them. Couples are in the midst of trying to find a venue, set a date, and find all of the other vendors and items they want and need to make their wedding day dreams come true. Planners can help keep the process on track so that you don't feel there are 1,000 things to do as soon as you get engaged. They will set up a timeline with you and ensure each item is done when it's supposed to and support you along the way by dealing with all of the vendors for you so you don't have to worry about it. 3. Reduce your stress: This is one of the happiest times in your life! The process of planning a wedding is a lifelong dream for many, so it should be fun and you should enjoy it. These days life is busy, we all have jobs, hobbies and many other things that keep us running around. Take the stress out of your wedding planning by hiring a professional to spearhead the process. Imagine having someone help you make decisions, suggestions and reduce your stress level in the whole process. Doesn't that sound dreamy!? 4. 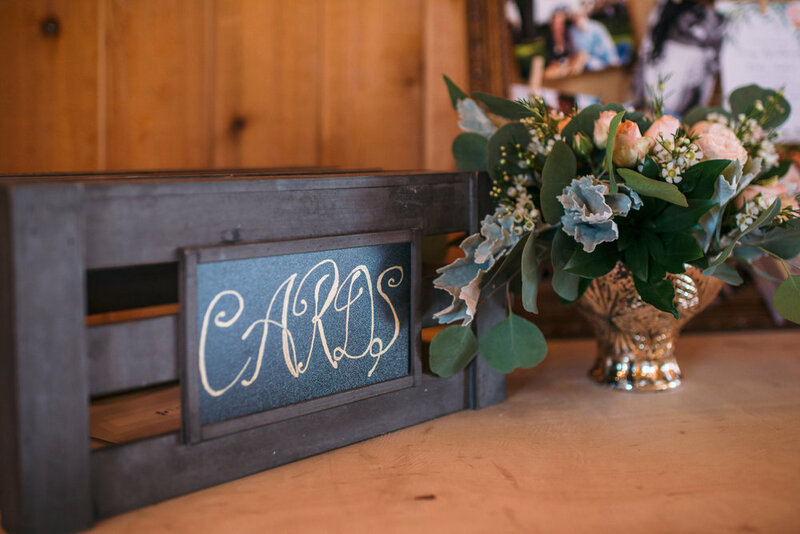 Bring your decor dreams to life: Mountain Bride takes a concept and makes it spectacular. As designers they can see the possibilities in your reception space and have the experience and knowledge to make it look gorgeous. They also have the connections to rental and décor companies to know what is available to bring your theme together. They think of every little detail when it comes to the decor, and the proof is in the pudding! Just look at these stunning photos from one of our 2016 weddings Mountain Bride designed. 5. They can set up & tear down: Your planner has the expertise to decorate and style weddings to make them look stunning and on top of that they offer full set up and tear down packages so you can relax the day before and the day after your wedding and know that your ceremony and reception will look even more beautiful than you imagined. There is no need for the wedding party and family to be getting sweaty putting up or moving decorations, they take care of it all. The last thing your closest friends feel like doing the next day, while nursing a hangover, is taking down and packing up all of your décor. Mountain Bride takes care of that, so the last thing guests remember from your wedding is killing it on the dance floor, rather than cleaning up the mess after.